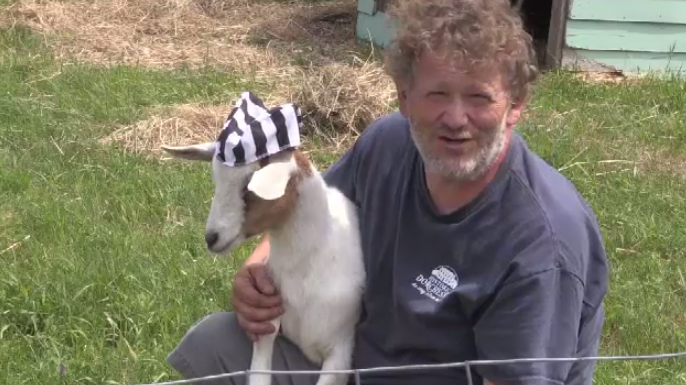 Bill Steele runs the Dorchester Jail BnB and thought some goats in prison attire would be an added attraction. But Steele recently got a letter telling him the goats have got to go. The Southeast Regional Service Commission in Sackville, N.B., says keeping farm animals is an "agricultural activity” that is not permitted in the village centre zone. Rhea, Princess, and Deputy Mayor may be dressed like previous occupants of the jail but they're not considered a household pet. Move them outside village limits. He has until July 20 to make a decision. Since Steele received the letter saying he couldn't keep the goats, he's had the community rally behind him. They started a Facebook page -- which already has 1,700 members -- just for the goats. 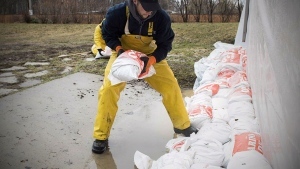 They say they're going to do whatever it takes to keep them, even if that means a petition. "Why a guy can’t have a couple of goats over the course of a summer to promote a business in a community that is starving for business, it's hard to understand,” said goat supporter Howard Carr. 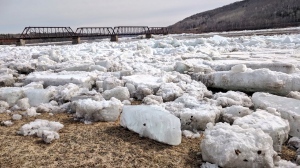 “I guess they come back on the 20th and see that I still have my goats, and that place writes a letter to the village office and then the village will have to take legal action against me,” Steele said. But Steele says he's not worried about the worst-case scenario and doesn't plan to break the goats out of jail anytime soon. 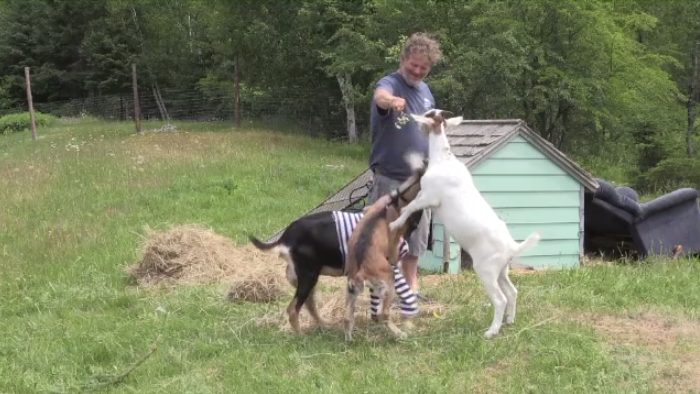 Bill Steele brought in three goats to provide an added attraction at his Dorchester Jail BnB. 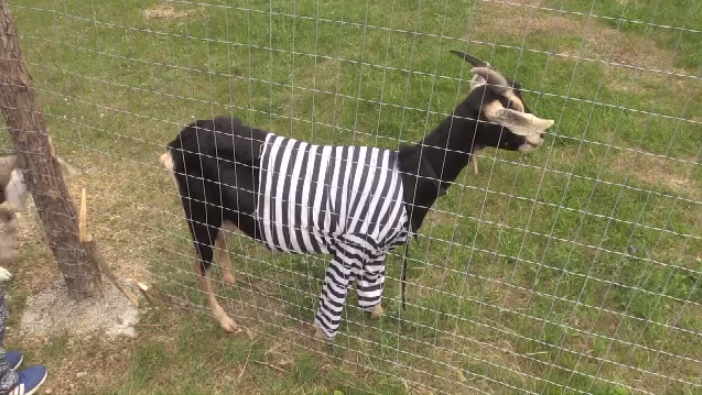 Some bureaucrats have ordered these goats to be released from jail.